during spring break i saw a bus similar to this that was joined together by an accordion looking middle section. A band aid is something that needs to be durable as well as flexible over long periods of time. 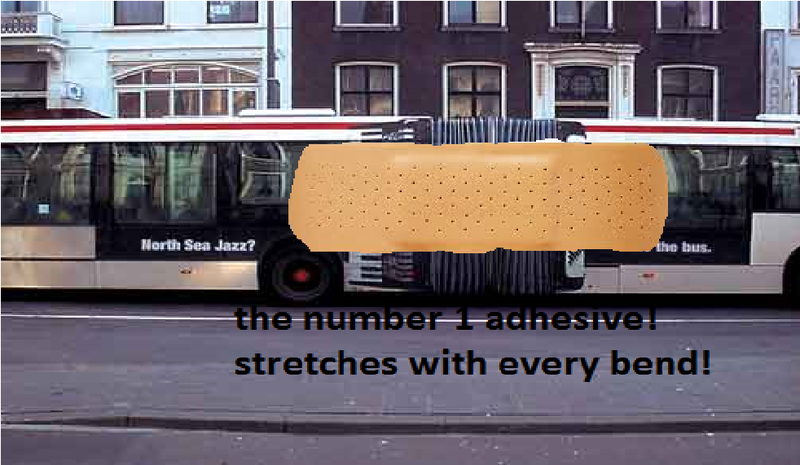 i thought this would be a good image to symbolize time because it shows that with every turn of this extra long bus, the band aid will bend and stretch sucessfully with the bus.